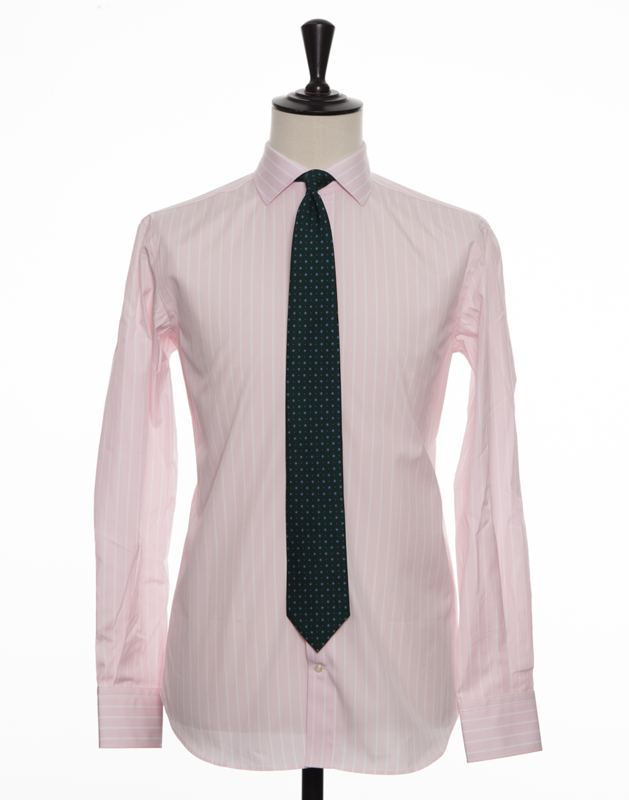 Subtle wide-striped pattern in light pink colour. 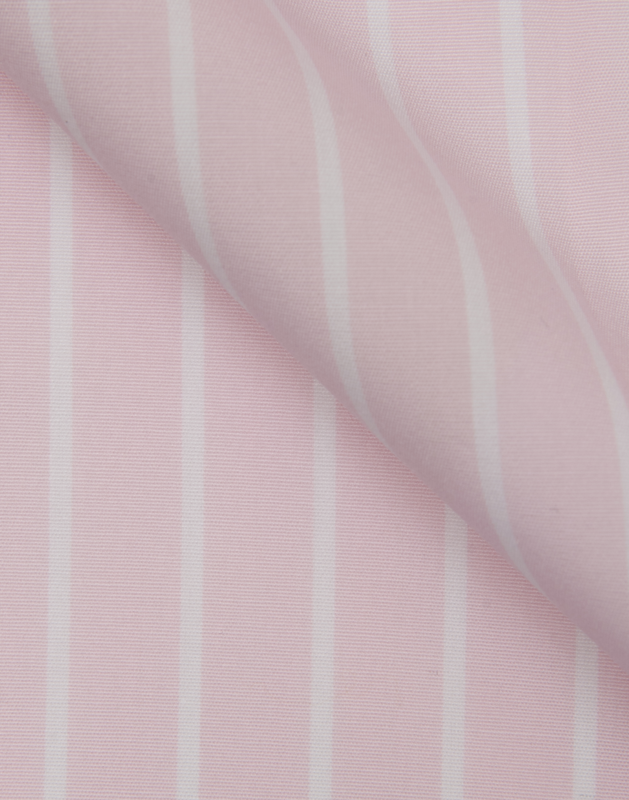 The fabric is a discreet alternative to more conventional fabrics in white and light blue. 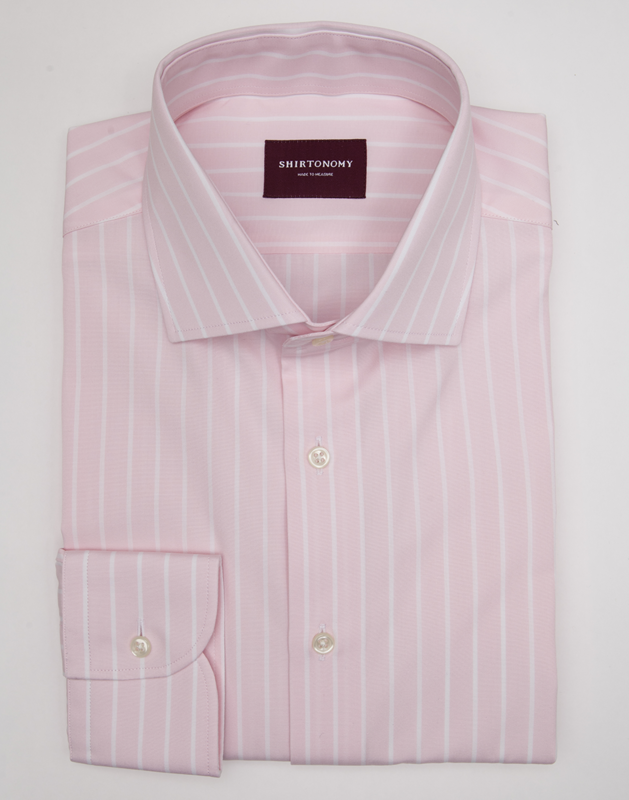 The fabric is a poplin weave and is made in Portugal of 2-ply long-staple cotton.